Mobile platforms are an upgrade from the best fixed work platforms. The best mobile platforms will still give your personnel the safe access they need, but allows them to take their platform from location to location. This keeps employees productive while still keeping the risks of strain or injury lower than if a platform was not used. You’ll find several different platform designs are available within this category. Each design offers your personnel a distinct advantage that must be considered. Cross Platform Designs. 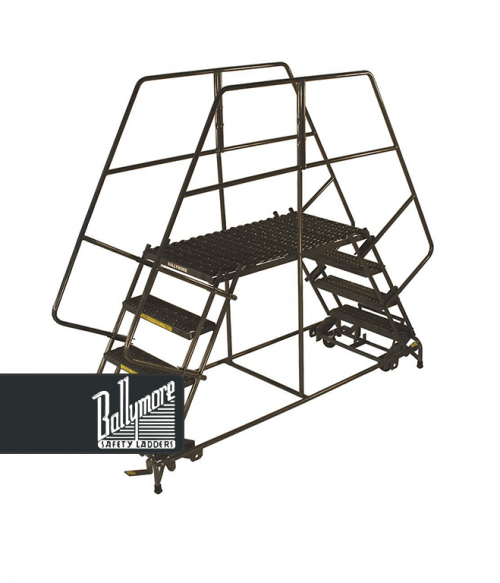 This mobile work platform allows you to place a temporary work area above an obstacle in the work place. It also provides enough room for two employees to work in specific situations with its size and dual stairway design. Extended Platform Designs. 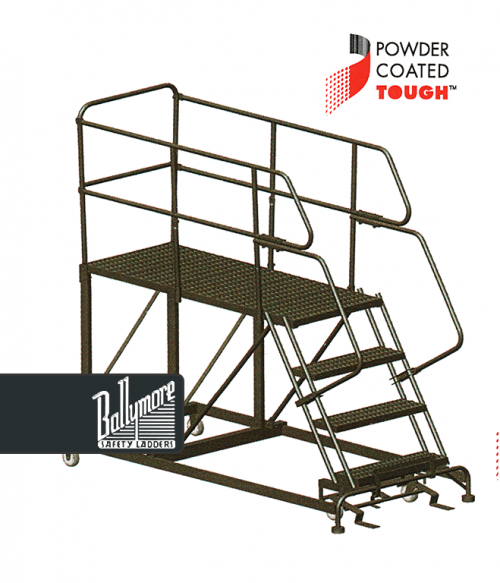 This mobile work platform allows personnel to access wider access areas with ease. Each platform also offers the possibility of storage space underneath the working area, reducing the amount of downtime that is caused by fetching supplies. Forklift Designs. If you have a forklift at your job site, then this mobile platform design is a fast and easy way for your personnel to access difficult areas. 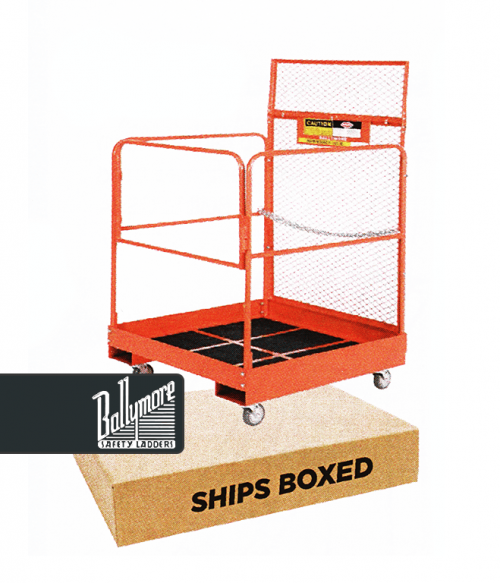 Each platform contains safety features which help to reduce injuries, as well as solidly constructed casters for easy movement when off of the forklift. Many industries today require their personnel to work at different vertical access points. Stocking, inventory control, and general maintenance are all much easier to perform when this equipment asset is within your possession. We also offer the option to customize a mobile work platform if a standardized option does not meet your specific needs. Our team at Factory Equipment is standing by right now to answer any questions that you may have. A mobile platform can help you create a reputation that is built to last. Make it happen today.